We are astute on quality and updates. We use the most advanced and supreme hosting cPanel where you can handle all the facets of your hosting. Your data security is of supreme importance. Our shared servers are protected by a custom CSF firewall. Rest assured that you are in good hands. We have assembled all the advanced and easy-to-use tools to have your website build in no time at all. With simple drag and drop option at your assistance there is no worry or time wasted on building well laid-out websites. Click here for demo. Our Free DDoS protect service saves you any tensions and sleeps, spared in the name of your network functionality. We are here watching and guarding your network traffic and any impending attacks over it. Cybex Hosting shared web hosting India gives you powerful resources on the latest generation hardware for the best performance of your website. Our completely scalable and feature-rich and cheap shared hosting plans are the best option for you to host your website. 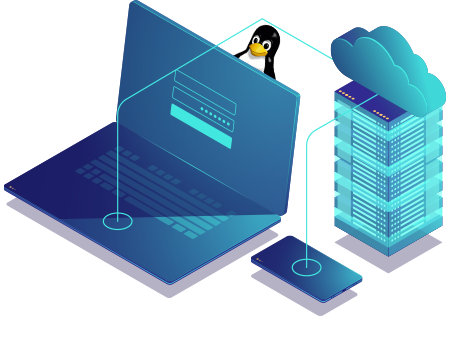 We offer you cheap and the fastest Linux shared hosting plans with numerous features tagged with quality support. Even though it is cheapest and unlimited shared hosting package, you will be getting features like cPanel, SSD disk storage, site builder tools, SSL certificates, email accounts etc. We make available unlimited website resources along with a free domain name. Our 24x7x365 days' available support staff make the migration of your account from other hosting company a cake walk. You can have plan upgrading facilities in case your website outgrows the current plans. Eventhough it is cheapest shared hosting package, you will be getting features like cPanel, SSD disk storage, site builder tools, SSL certificates, email accounts etc. We make available unlimited website resources along with a free domain name. Our 24x7x365 days' available support staff make the migration of your account from other hosting company a cake walk. You can have plan upgrading facilities in case your website outgrows the current plans.